my 'try something new it won't kill you' mantra has landed me smack dab in nutella heaven. ever feel like...once you tried something new, that you had been missing out by not trying it sooner? 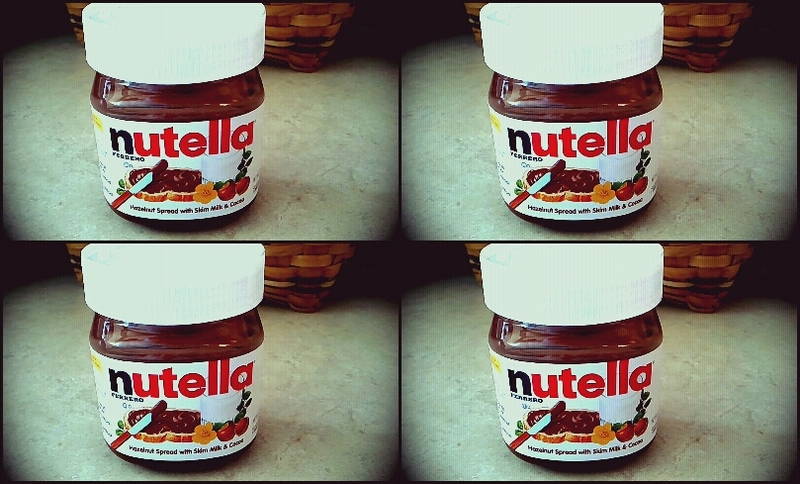 i can't say i was afraid of trying nutella because, well c'mon that'd just be silly. but seriously, i just never thought about picking it up. i like hazelnut, i like cocoa. i'm even down with drinking skim milk. well, i'm going to blame it on my mama, for never buying it. i'm a creature of habit, and don't venture out much to try new foods, mostly because i'm a picky eater. but having tried sushi, i figured i would survive tasting this. and mostly i just wanted to find out why julie of joy's hope went on & on about this stuff. & this stuff has a cult following. there is even a world nutella day. it's kinda like sophisticated peanut butter. that's having an affair with chocolate. .....ok. i have to go get a spoonful right now. ps- OH! & look at all you can do with it!